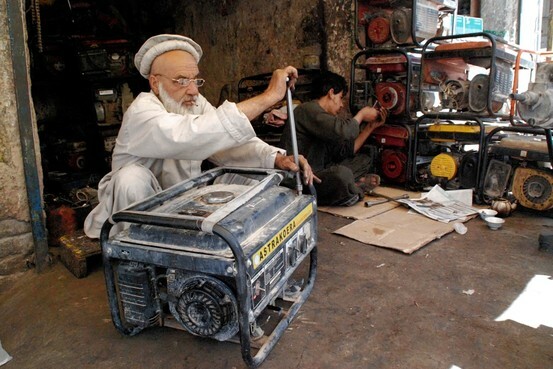 Pakistan’s power crisis has become a catastrophe. Power cuts of up to 14 hours a day have become the norm in Pakistan. In Karachi, four patients admitted in the largest public hospital died when the hospital’s backup generator failed after prolonged cuts. 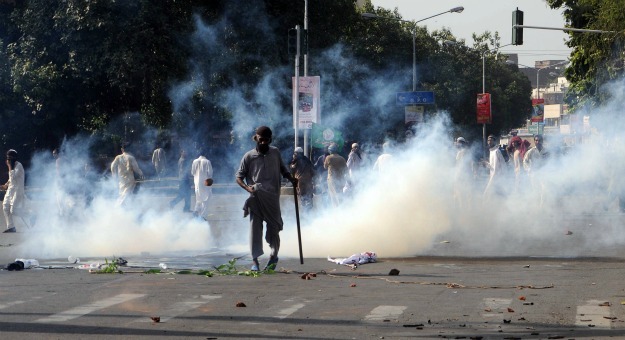 Riots have engulfed Punjab, and other major cities across the country, as the government wrings its hands and tries to get the situation under control. Allegations have flown between the leaders of the two major political parties — the Pakistan Muslim League (Nawaz) and the ruling Pakistan People’s Party (PPP). The PML (N) — has accused the PPP of being responsible for the crisis. In turn, the PPP has accused the PML-N of instigating the violence. Riots over power cuts in the country, known as “load shedding,” have now become a matter of routine. In neighborhoods and cities across Pakistan, hundreds have taken to the streets to vent their anger at the frequent load shedding. This time around though, the PML-N, perhaps to apply more pressure as a political tactic against its rival PPP, has stepped in, and is supporting the protestors. But as the flurry of allegations continues, the problem at hand grows more serious. Dubbed the circular debt issue, power companies have racked up billions in unpaid dues to petroleum companies, which supply them oil to run their powerhouses. On Sunday, Pakistan State Oil (PSO), tired of waiting for the dues long promised to them, decided to stop the petroleum supply to the power companies, leading to an increase in the already inhumane cuts. While the Government of Pakistan (GoP) has now released some funds to appease PSO, this is not a long-term solution. The Federal Minister for Water and Power Naveed Qamar responded to the most recent protests by saying that there were no quick fixes, and then turned around and announced that the situation would improve in 24-36 hours. Last week in Washington DC, the Finance Minister of Pakistan Hafeez Sheikh solemnly announced that the government understood the severity of the circular debt issue, and would resolve it in the weeks to come. But with a growing fiscal deficit, and a refusal of the Asian Development Bank to fund programs in Pakistan after the GoP decided to end their International Monetary Fund (IMF) loan program, how Pakistan plans to resolve the circular debt issue is anyone’s guess. One solution, according to Prime Minister Yousaf Raza Gilani, was that the United States “should help Pakistan solve its energy crisis if it wanted better ties.” The United States has previously said that it is investing in dams in Pakistan to help add to the power grid, and has helped in the reconstruction of existing dams in the country. However, Pakistan needs to stop looking towards the West for a solution (or a scapegoat), and perhaps redirect its attention to how to fix its problems internally first — perhaps by collecting payment of unpaid bills, or cracking down against those stealing electricity. First, though, it has to deal with the political ramifications of these protests. The PML-N has played its cards right; by blaming the political center of which it is no longer part, it has easily scored political points while the PPP becomes the fall guy — and to an extent, perhaps deservedly so. Pakistan’s government, in turn, can only do so much. Strapped for cash, it barely has the funds to invest in power generation, and in cases where it has, such investments have barely led to a meaningful increase in the electricity grid. Meanwhile, the Pakistani population continue to take to the streets, hoping that it might eventually lead to the light bulbs burning bright again. Huma Imtiaz works as a correspondent for Express News and is based in Washington, DC. As Pakistan’s powerful military held out threats to India, former Prime Minister Nawaz Sharif has called for reappraisal of ties with its neighbour to move forward and progress, saying Islamabad must stop treating New Delhi as its “biggest enemy”. Sharif, who was earlier involved in talks with India when the Kargil crisis erupted, also sought a probe into the 1999 conflict with India. The former Prime Minister, who is the chief of main opposition PML-N party, is currently on a three-day visit to southern Sindh province where he made the remarks during an interaction with the media in Karachi yesterday. He called on the government to also conduct an inquiry into the 2006 killing of Baloch leader Nawab Akbar Bugti in a military operation and the carnage in Karachi on May 12, 2007 that killed over 40 people who tried to rally in support of then-deposed Supreme Court Chief Justice Iftikhar Chaudhry. Sharif, whose government was deposed in a military coup led by former President Pervez Musharraf in 1999, reiterated his demand for the budgets of the military and the ISI to be placed before Parliament for scrutiny in line with the practice in other democracies. He said one of his biggest regrets was not taming the powerful military when he was Prime Minister in the 1990s. 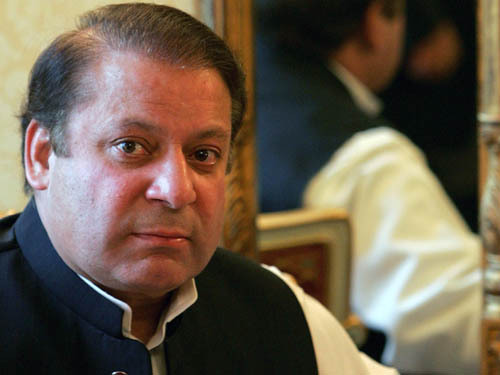 The Parliamentary resolution calling for an independent commission to investigate the killing of al-Qaeda leader Osama bin Laden in a US raid on May 2 was the first step towards making Parliament a sovereign body, Sharif said. “We need structural changes and this inquiry has provided an opportunity to move forward and put the country on the right track, correct its direction by putting our house in order, establish the rule of law and bring all institutions under civilian control,” Sharif said. If the government fixes responsibility for the Abbottabad incident and punishes those found guilty, a message will go out to the world that the people of Pakistan will not brook another embarrassment like the US raid, he said. Sharif spoke out against the recent alliance forged by the ruling PPP and the PML-Q, both of which are rivals of his PML-N in Punjab and at the centre.